From the Joker to Harley Quinn, Lex Luthor to Darkseid, DC's super-villains offer a fascinating collection of cautionary tales. 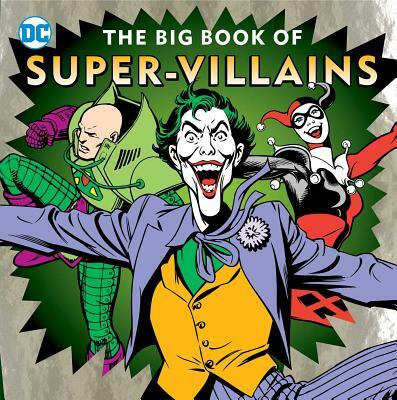 The Big Book of Super-Villains gives the enlightening back stories and need-to-know facts about DC's most popular bad guys. Discover their special powers, tricky devices and secret lairs, as well as memorable battles with their archenemies. Learn why the Joker, Penguin, and Harley Quinn love to tangle with Batman and Robin; why Lex Luthor won't rest until he has defeated Superman; what drives Cheetah's competition with Wonder Woman, and the reasons behind many more famous feuds. Classic style DC comic book art and a shiny foil cover complete the irresistable package. Morris Katz is the author of My First Book of Super Villains, My First Book of Superpowers, The Big Book of Superpowers, and Even Super Heroes Sleep.